The literacy project was founded by Mr. Andrew Summers in early 2014. The primary mission for the project is to further develop the culture of reading and writing amongst children, through reading and writing activities. The project seeks to fulfill this mission by implementing clubs for learners outside school tuition, where learners will start to associate reading and writing with fun activities. Based on the preliminary report we have founded that children are not exposed and coached properly on writing and reading, usually for them this is a lonely and difficult journey which results to little enthusiasm and ultimately loss of interest. 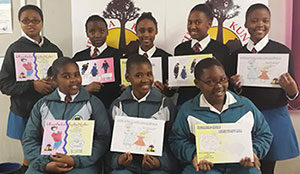 The literacy project has since established several clubs that are for high school learners as well as primary learners which feed to the high school. The rationale for starting up reading and writing clubs is that there a general lack of reading culture in South Africa. Where reading is done, mostly in schools, it is usually boring and done for academic reasons. 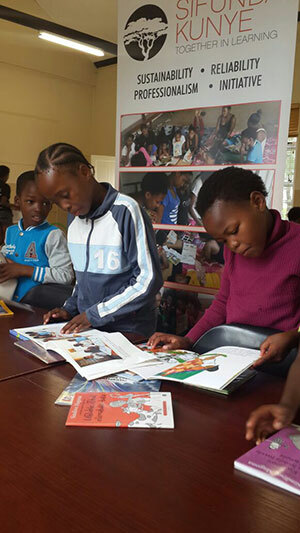 We believe that reading should be fun and that learners should be inspired to read by observing and interacting with reading role models around them as well as engaging with reading itself in enjoyable ways. 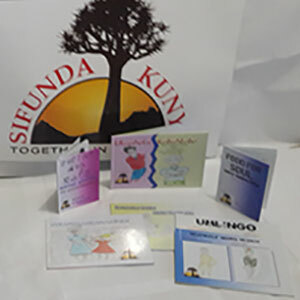 The Sifunda Kunye Literacy Project reading club was relaunched in 2014. When it started there were about 30 learners that attended. Now the club has over 150 learners from 5 different schools around the Keiskamahoek community, Eastern Cape. In 2014 when the club relaunched we incorporated the idea of using St Matthews’s high school learners to volunteer facilitation services in the club. This initiative has grown with many learners competing to get into facilitation. The student volunteers facilitate for a year and at the end of each year we select a facilitator of the year. The reading club is founded on the principle that children already have meaningful input to bring to the space, therefore we work with their language, literacy and cultural resources. We offer training to grade 10/11 learners to take part in drama, poetry, song and dance, so as to grow their confidence and self-esteem and to experience reading in a positive way. We help learners find a problem in the community or in a book, present it through play, song and dance combined and present a solution to it. This teaches learners to develop critical thinking skills and as well problem solving skills. Get learners to produce a drama performance which can be played for primary and senior primary learners of surrounding schools. We get learners to express themselves through poetry and teach them to enjoy playing with words and language to convey meaning. Poetry reading and performances are encouraged. 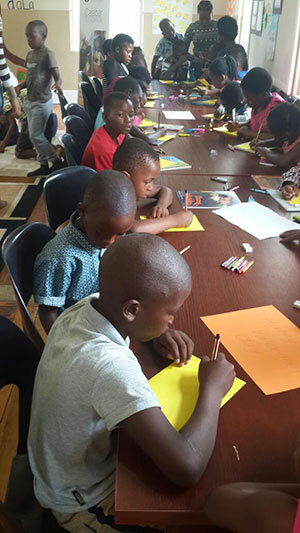 We encourage learners to sing along and dance to good music and to write and sing their own songs.We also encourage them to collect songs for babies, make song books and record CDs that go with the songs for young children. The writing camps are held at one of the biggest schools of the five, during long weekends of 27th April; June 16, Women’s Day or Heritage Day. 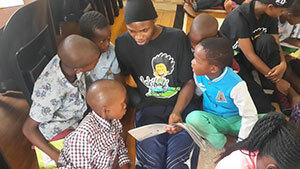 This programme was not part of the project initially, however as we started with the reading clubs we noticed a huge lack of storybooks for children written in their mother tongue (isiXhosa). 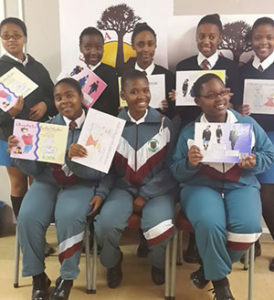 And that is how the book making project was born.Learners from grade 10 and 11 embarked on a journey to write books which will in turn be used in reading clubs.A group of 25 learners wrote and illustrated 7 storybooks, coached by literacy facilitators. 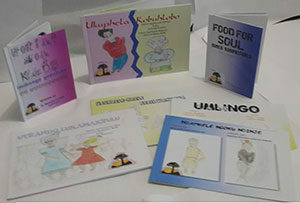 Which were published by Sifunda Kunye Literacy Project, These books included a compilation anthology and a nursery rhymes. Each book has two stories. 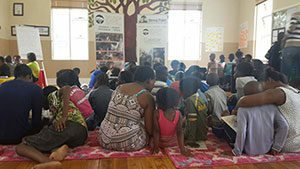 This is a new programme that was fuelled by noticing the struggles of children who come to the reading club concerning reading and writing.Here the literacy project facilitators dedicate 3 days a week to the primary school feeding St Mathew’s high school, sharing stories, talking and singing which helps a child’s development. This all builds children’s early literacy skills, helping them to go on and read successfully later. With all these projects, we will not only have served the high school but we will have served their closest primary and junior secondary schools as well as families.